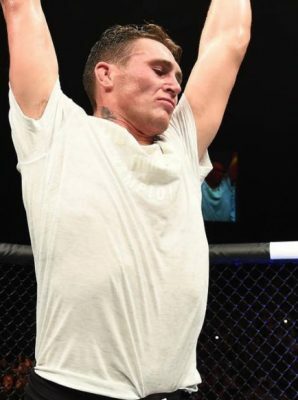 Colby Covington isn’t the kind of person who lets go of a grudge. 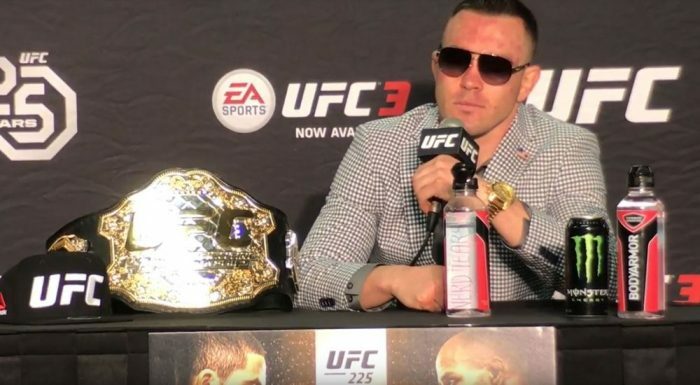 Take for instance Covington’s ire towards former UFC middleweight champion Michael Bisping, who engaged in a heated interview with the welterweight firebrand after his win over Rafael dos Anjos at UFC 225. From the moment the two fighters started talking to each other, Covington and Bisping were at odds and that hasn’t stopped since the interview ended. On Tuesday, Covington released a video aimed directly at Bisping with segments from their interview interlaced throughout the post. Bisping had previously mocked Covington for proclaiming that he was going to win the UFC welterweight title and then present it to President Donald Trump. Just recently, Covington made his visit to the White House and he was more than happy to remind Bisping about their prior conversation. “America: Living up to our word and making The British look stupid since 1776,” Covington wrote on Instagram. Covington has been rather vocal firing back at the naysayers who never believed he’d actually get an audience with the President so he’s been more than happy to fire back since getting the meeting a couple of weeks ago. Bisping retired from the sport earlier this year but he might reconsider that decision if an opportunity ever face Covington came along.